Sweet, creamy and nutritious. Not ultra-pasteurized. 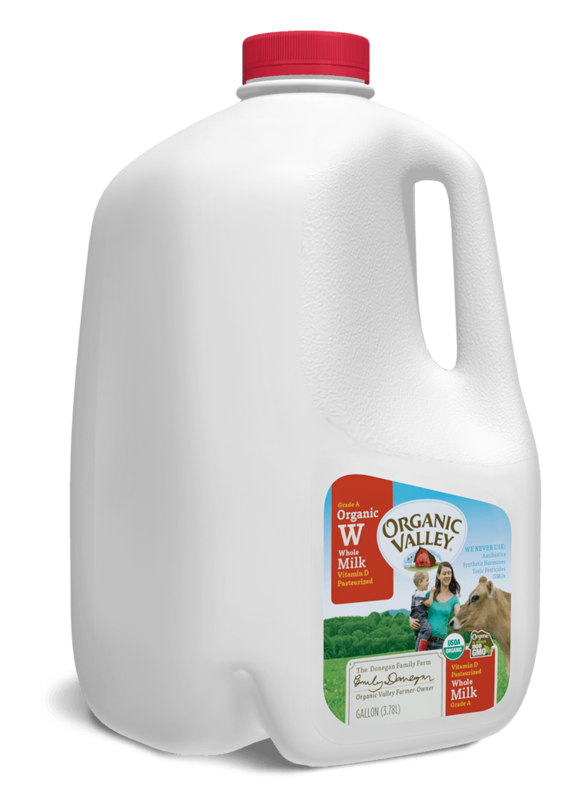 Organic Valley milk is always produced without antibiotics, synthetic hormones, toxic pesticides or GMOs. OV cows spend their days grazing in green pastures, which helps them produce milk with more omega-3s and CLA (conjugated linoleic acid) than conventional milk. Want more info? See the Organic Valley website.